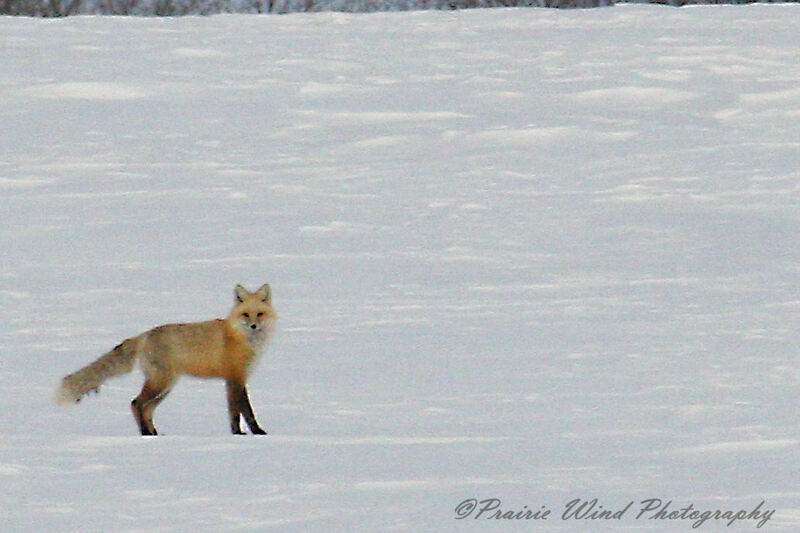 This morning when the boys and I went for our walk, there was a fox in the field west of the buildings. The boys didn’t see her so I was able to get photos. 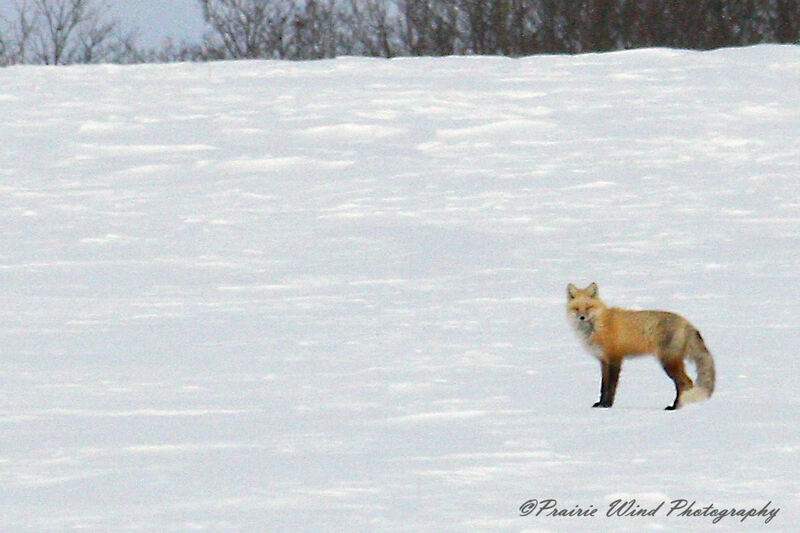 She was a long way away and I had to crop these shots to show you. She has made her home under the bins close to us and I’m hoping she will again this year. Two years ago I was able to take some really good shoots of her pups. As we feed our horses in the winter, we discard and pile the hay we don’t want them to have. When conditions are just right, wind either not blowing or blowing from a direction we want, we burn the pile of hay. This year the pile was quite large as we didn’t get it burnt last year. Yesterday all conditions were in our favor. So the pile was lite on fire. And what a fire it was. The smoke just bellowed out. As it was morning, sometimes it blocked the sun out. Sometimes if you looked really hard, you could see images in the smoke and flames. 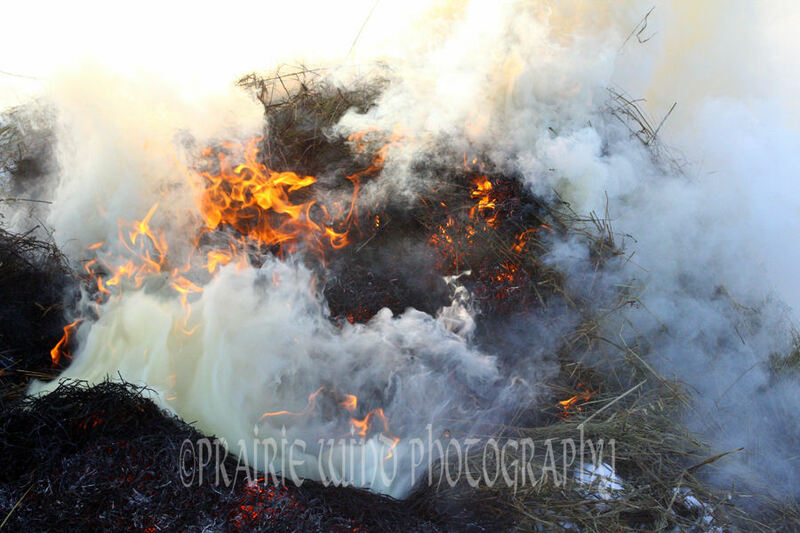 It was a controlled burn and with the snow mixed in with the hay, it was more smoke then flame towards the end. Today it is almost all gone. I’ve put photos – Smoke & Fire, in the gallery. Be careful as you look at them. Don’t let the smoke get in your eyes.